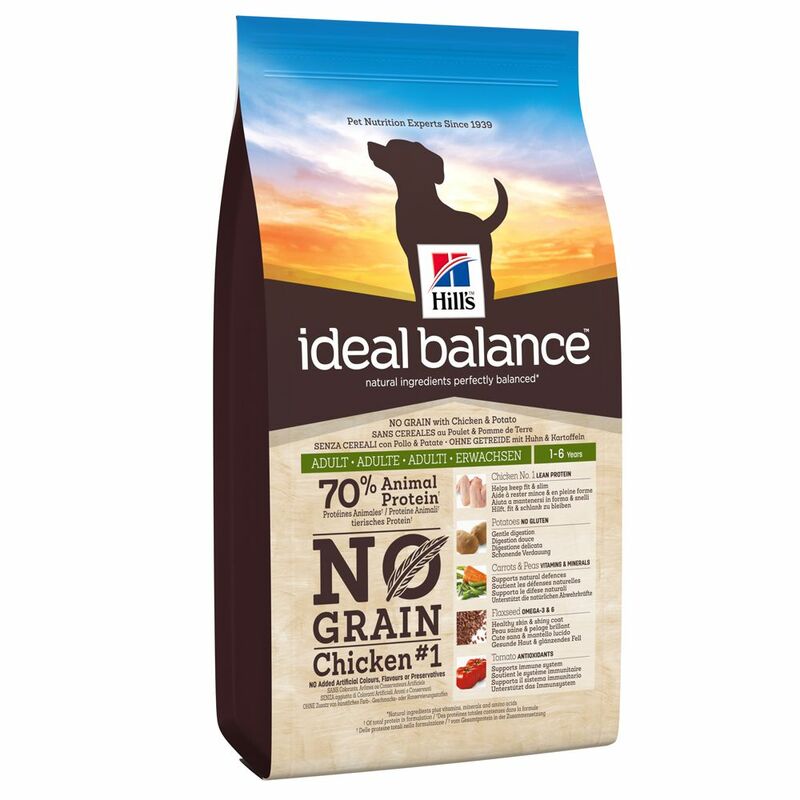 Hills ideal balance canine adult no grain with fresh chicken and potato is ideal for adult dogs, providing them with the finest grain free natural ingredients and giving them perfectly balanced nutrition. Containing fresh chicken, this feed is beneficial to your dog's overall health, immunity, skin coat and digestion. No added artificial colours, flavours or preservatives and does not contain maize, wheat or soy. 100% balanced nutrition, 100% taste. Guaranteed.